Just four years after making his debut as a professional kickboxer, Nottingham’s Chad ‘2 Slick’ Sugden is poised to take the next major step in what has already been a stellar fighting career. On Saturday 19 March, the Suggy’s Gym 21 year-old will be setting his sights on the pro boxing world when he travels to Walsall to make his debut against Kieron Gray, ranked 23 in the UK at Super Middleweight. 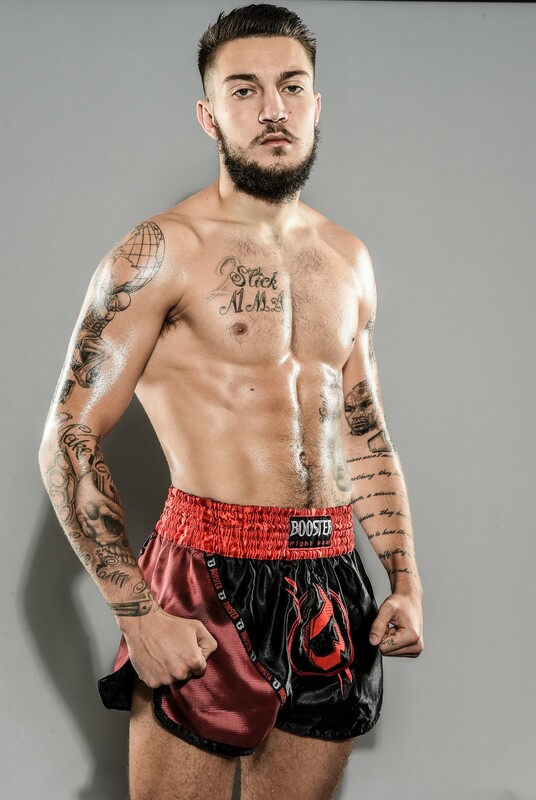 The youngest ever fighter at 18 to win a professional ISKA K-1 world title, Chad made his move to the pro kickboxing world stage in 2013, when he signed a two-year deal with K-1 Global which took him to Gran Canaria, Spain, Azerbijan and Thailand. During this period Glory Kickboxing established itself as the leading brand in the sport, attracting elite fighters from across the world. Among them were many of the leading names from K-1 who were drawn to The Glory World Series by the opportunity to compete on the biggest events for the biggest purses. 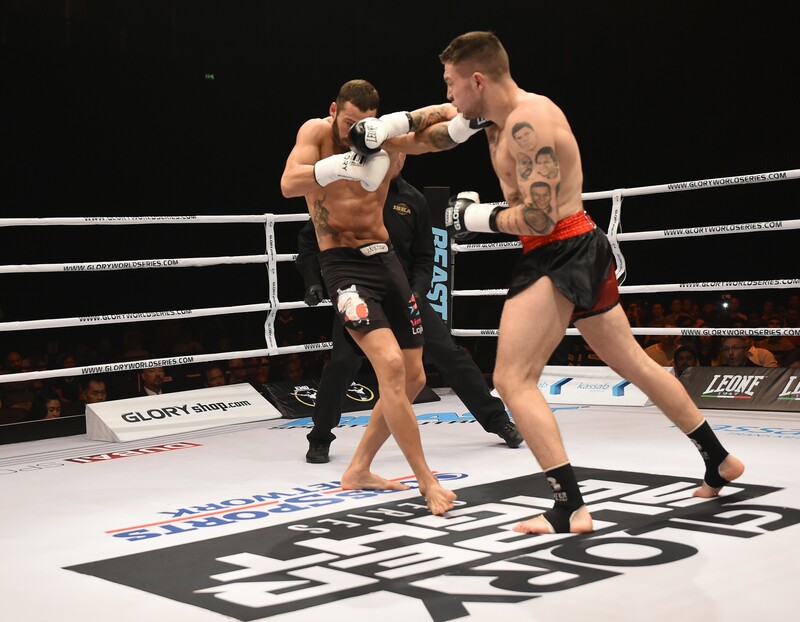 Chad was quick to prove he deserved a place alongside some of the kickboxing legends in the Glory stable when he made his debut for them in Dubai against Turkey’s Atakan Arslan, a highly ranked fighter tipped for the top. Dominating the three-round contest throughout, Chad dismantled his opponent in such a convincing fashion that he immediately jumped to number 5 in the Glory World Welterweight rankings. “What happened next was every fighter’s dream,” said Suggy’s Gym head coach Dean Sugden. “The phone call from Glory was one we won’t forget in a hurry: does Chad want to fight K-1 Max 2012 champion Murthel Groenhart from the world-famous Mike’s Gym in Amsterdam? And if that wasn’t enticement enough, does he want to do it in Las Vegas, the fight capital of the world? Once again Chad did not disappoint, rocking the kickboxing world with a win over Murthel which took him straight to number 2 in the rankings. With Nieky Holzken, the champion at this weight, insisting that his next challenger came from a four-man tournament, the Suggy’s Gym camp was gutted that Chad was unable to take part in the qualifying contests due to injury. Watching Murthel destroy all the competition to win the tournament and a chance to fight Nieky for the title, then go on to lose controversially to the champion in December left Chad wondering when he would get his own shot at Nieky. “It’s an exciting time for Glory right now, with the news that all shows are being televised live on UFC Fight Pass,” said Chad. “But for some time now part of my preparation for fights has taken me to gyms both at home and abroad to spar and that’s brought me into the world of professional boxing. About 18 months ago, I met Gary Winner from Nottingham who has been employed as sparring partner by both Carl Froch and George Groves. The first time we sparred, he was shocked – he thought I was a pro boxer! “When I was younger, I boxed as an amateur and was invited to represent my country. At the time my focus was on kickboxing but many of the fighters signed to Glory are active pro boxers so having good hands is an important factor when you’re competing with them. The experience I’ve gained kickboxing all over the world will stand me in good stead and now I’m ready to put it to good use as I take this next step. “I have the best team anyone could ever wish for. My dad has been my trainer since I started and now that he holds his Professional Manager’s License he’ll be in my corner every step of the way. “Suggy’s Gym has a long association with boxing through Newark Amateur Boxing Club of course and we’ve had a lot of success over the past 15 years, with numerous junior champions and senior Prem Posniak who won the National ABA Super Heavyweight title. Then there’s my cousin, Fergus Taylor, whose career as a professional boxer has taken him to the British Masters title and a current record of 7 wins, 1 draw and 1 loss from his 9 pro fights. Previous Previous post: Sam smashes it!